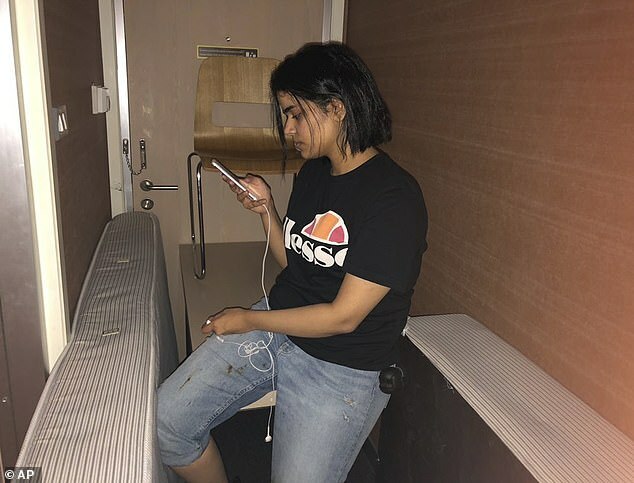 Rahaf Mohammed al-Qunun made headlines earlier this week after she began tweeting from the transit area of Bangkok airport. 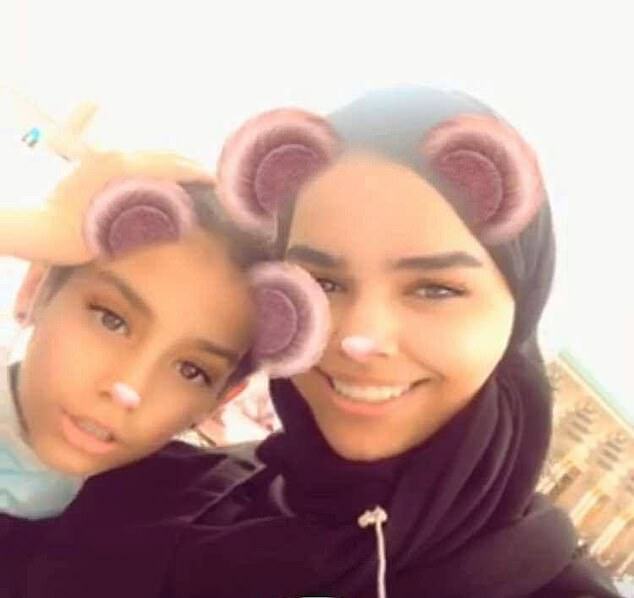 The 18-year-old said she had escaped from Kuwait and that her life would be in danger if she were forced to return to Saudi Arabia. 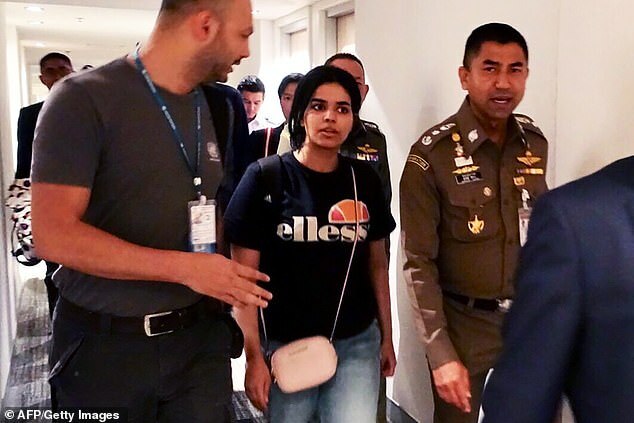 Thai authorities allowed her to enter the country on Monday evening and the UN refugee agency referred Rahaf to Australia for consideration for refugee resettlement. Yesterday Australian Foreign Minister Marise Payne was in Bangkok after Canberra said it would consider giving asylum to the 18-year-old. Payne said there was no time-frame for the assessment of the case. 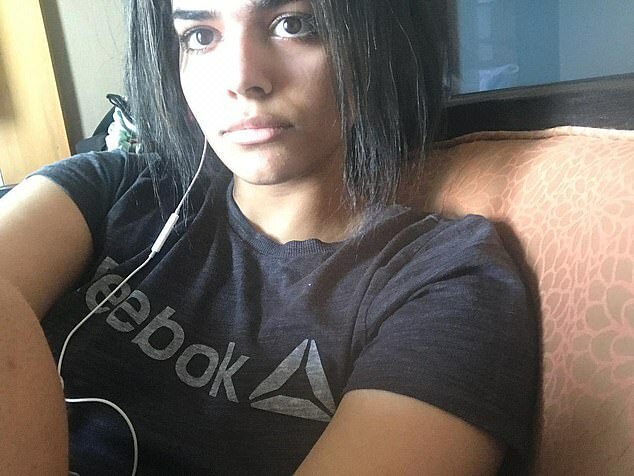 Now, in an exclusive interview with Daily Mail Australia, Rahaf has claimed her case has been successful – although the Australian government is yet to officially confirm this. She added that she is not allowed to reveal where she is in Bangkok. ‘I’m in a hotel, there is a policemen and guards for my safety,’ she said. She also doesn’t know where exactly in the country she will be living. ‘They told me they gave me an apartment but I didn’t ask where,’ Rahaf added. ‘I survived from death,’ she said, adding she had narrowly avoided the fate that befell journalist Jamal Khashoggi. Khashoggi was killed at the Saudi consulate in Istanbul in October. More than three months on, his body’s whereabouts remain unknown. Turkish and US officials have accused Crown Prince Mohammed bin Salman of orchestrating the killing – an allegation Saudi authorities categorically refute. 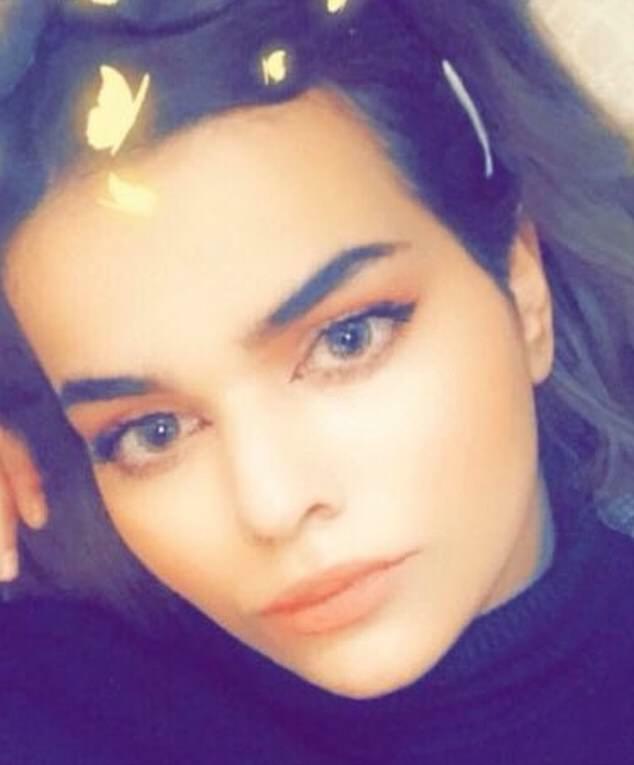 Rahaf also opened up about living with her family in Saudi Arabia, describing it as difficult as she had no freedom. ‘It was so bad. I mean, of course there are good days but they hurt me a lot. One person she misses is her younger sister Joud, who turned 12 today. ‘I miss her, I tried to call her and say ‘happy birthday’ but she can’t access a phone,’ she said. She also railed against online trolls who are spreading rumours on social media that she is lying about her situation. ‘They don’t know about my life and they don’t know how m y family treats me,’ she said. ‘I want life. I want to be independent. How can they say this just because I do something they don’t like? 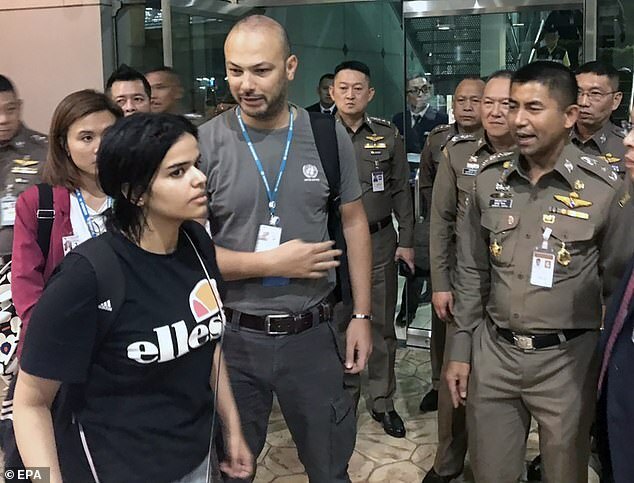 Rahaf arrived in Thailand on Saturday and had intended to fly on to Australia to seek asylum. But after she was initially denied entry into Thailand, her savvy use of Twitter sparked a massive campaign with calls from all over the world for her to be granted asylum. Her plight also drew attention to Saudi Arabia’s strict social rules, including a requirement that women have the permission of a male ‘guardian’ to travel. It also comes as Riyadh is facing intense scrutiny from the West over the killing of Khashoggi and over the humanitarian consequences of its war in Yemen. Daily Mail Australia has contacted the Department of Home Affairs for comment.